The awesome, interactive and place-based carbon cycle model experienced on Day 1 of the Workshop. Heavily modified from a version inspired by the Colorado Plateau Carbon Connection Website. 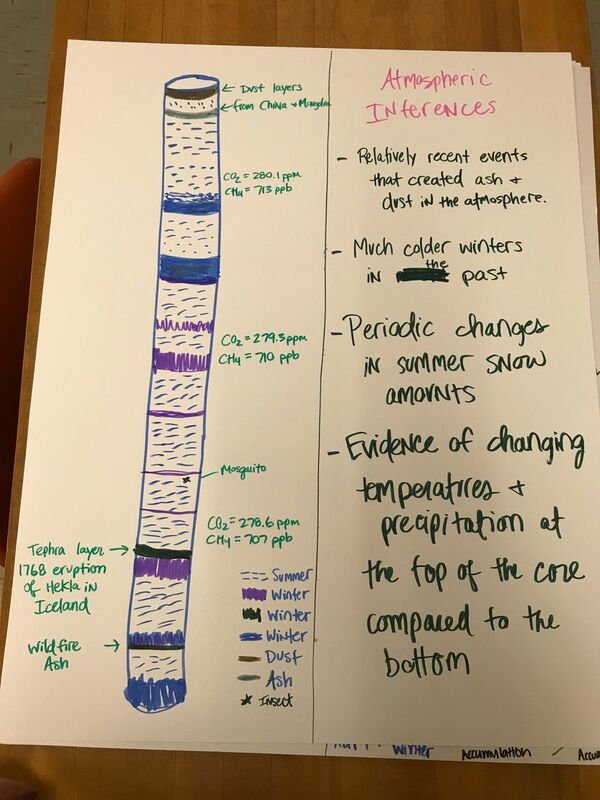 Our first go at making sense of melt-proof ice cores. I'll update worksheets some associated activities on this site as we change them. Here are the files needed to print the set of three ice cores that can be correlated. Scotch tape worked well to tape all the photos around the cores. They should be printed on 8.5 x 11 paper with your printer's "Borderless Printing" option. They wrap around a Dollar Store foam pool noodle. The Final Story: How the Columns of the Giants Came to Be. GSA 2017 Presentation PowerPoint (Lots of good tidbits).